4月27-28日 Shanghai Certified ScrumMaster (Deliver at weekend) HOT!!! 5月3-4日 Hồ Chí Minh Certified ScrumMaster (Deliver in English) HOT!!! 5月5-6日 Hồ Chí Minh Certified Scrum Product Owner (Deliver in English) HOT!!! 5月11-12日 Shenzhen Certified ScrumMaster (Deliver at weekend) HOT!!! 5月17-18日 Beijing Certified ScrumMaster HOT!!! Jeff Sutherland; the original founder of the concept ‘Scrum’, Jens Østergaard; the world’s first CSP and the first to train and consult the method of Scrum and Agile and Beijing Shinetech Technologies, the global leading company that focuses on professional Agile and Scrum training. We focus on CSM/CSPO certified training, with courses especially tailored for each company’s individual culture and business goals. Our courses cover certification, training, assessments, counselling, coaching and advising. Short term, we provide a framework to identify and solve the core issues within your company’s working practise. Through certified training, coaching, counselling and advising, we help you to organize your business. 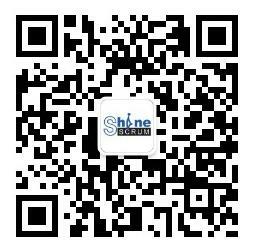 Working with Shinescrum will optimize the efficiency, costs and quality of delivery, improving employee morale and providing sustainable long-term improvements. Our adaptable integrated training turns your business into a truly flexible agile enterprise. ShineScrum is co-founded by the co-creator of Scrum Jeff Sutherland. 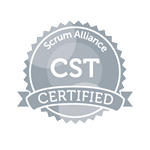 The only one domestic provider with the most CST & Own the most qualified Scrum agile consultant team. Deep understanding of Chinese and foreign cultures and the difference between Waterfall and Agile environments. Specialize in Agile transforming and implementing in China enterprises. Focus on each customer and student; Consulting large software companies to adapt Scrum; Help individuals to become excellent agilists. Instructed by World-class Agility Trainer Jens Østergaard and Jim Wang with overseas backgrounds.